On our Christmas tree jaunt the other day… we passed this lovely lady. 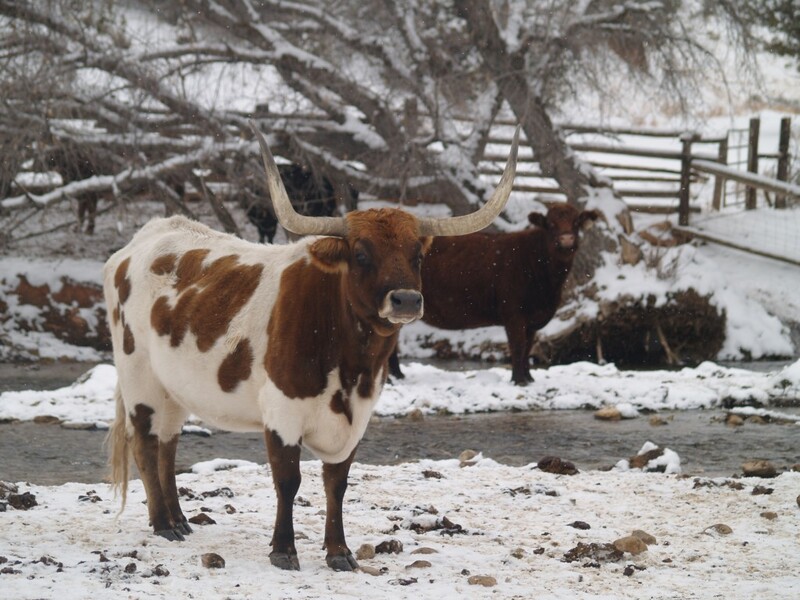 She was the only Longhorn in the bunch, so she stood out! She *definitely* was unique!!! 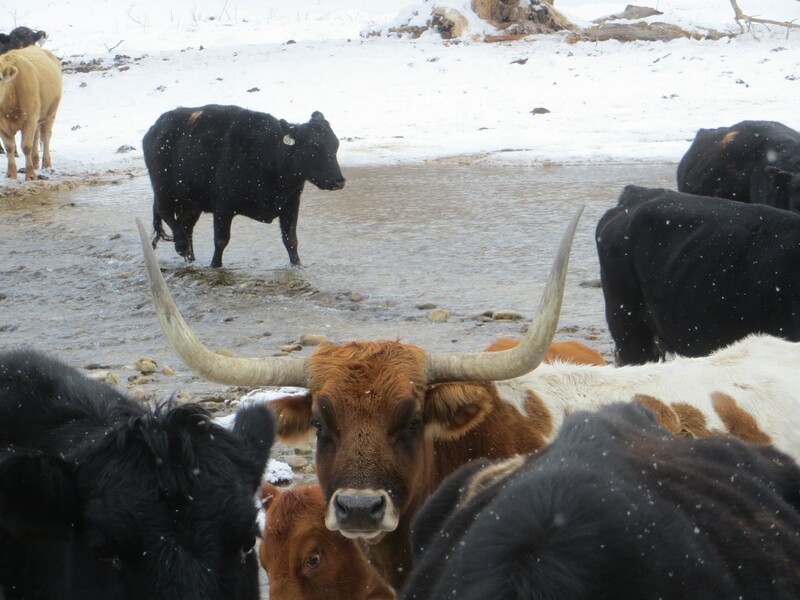 I know our Angus have treated us Quite Well… but I am drawn to the ones that stand out in the herd! And I think she is just positively lovely! What stunning photos – that first one is postcard worthy! Yes, love her coloring and markings – they look unique to me. The others better watch out for those horns! Regal, and haughtily so! A beauty. And how did such royalty end up with all the Angus? She is a beauty. Mot sure that her crown would fit in your squeeze shoot. Aww, she’s gorgeous! 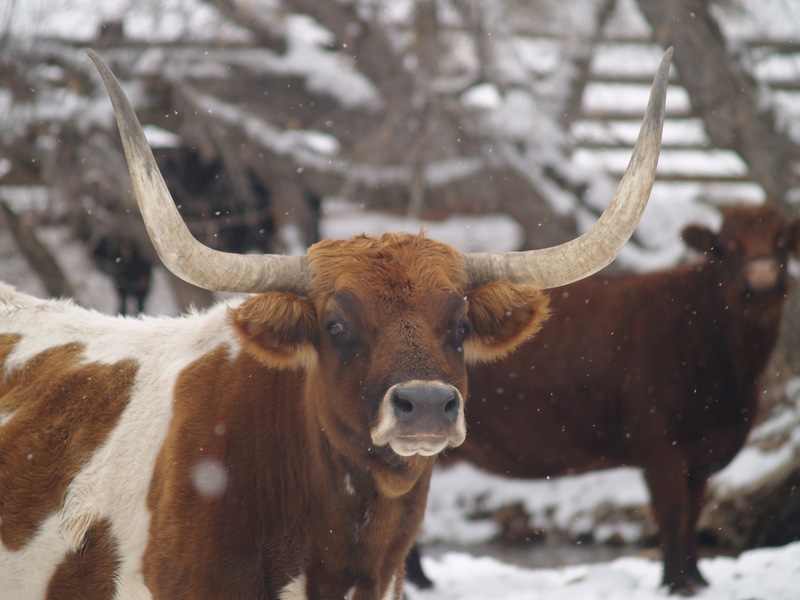 I love longhorns! That first picture is excellent. It would look fantastic in a frame. I’m always drawn to the ones that stand out too. What a lady. Special indeed. Managed to watch S4E1 of Longmire while visiting family. Not sure when I’ll get to see next, but son in law and sister phoned and text at 8:59pm last Sunday, said nothing, just that E3 was WOW. Drat!!!!!! Not yours is she? She is pretty. And those horns are regal!